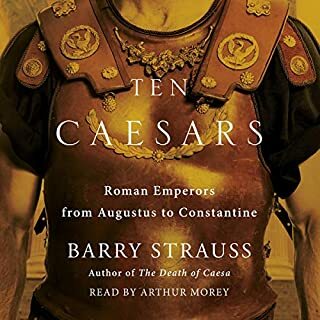 Best-selling classical historian Barry Strauss tells the story of three-and-a-half centuries of the Roman Empire through the lives of 10 of the most important emperors, from Augustus to Constantine. The Middle East has long been a region of rival religions, ideologies, nationalisms, and ambitions. All of these conflicts are rooted in the region's political inheritance: the arrangements, unities, and divisions imposed by the Allies after the First World War. 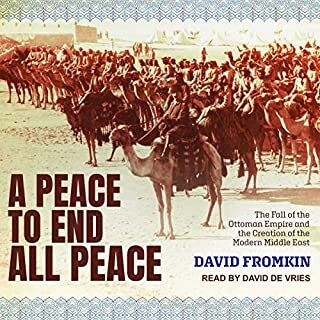 Author David Fromkin reveals how and why the Allies drew lines on an empty map that remade the geography and politics of the Middle East. 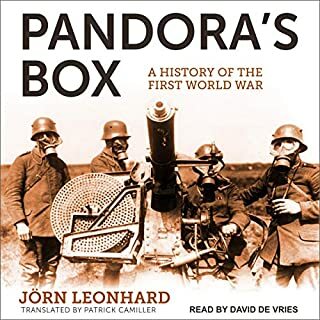 Focusing on the formative years of 1914 to 1922, when all seemed possible, he delivers in this sweeping and magisterial book the definitive account of this defining time. After a deadly terrorist bombing at the American embassy in Lebanon in 1983, only one man inside the CIA possessed the courage and skills to rebuild the networks destroyed in the blast: William Buckley. But the new Beirut station chief quickly became the target of a young terrorist named Imad Mughniyeh. 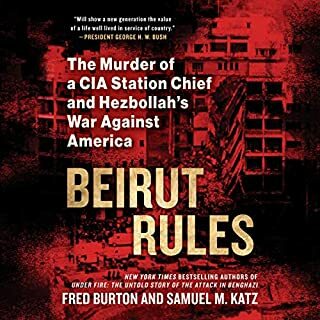 Beirut Rules is the pulse-by-pulse account of Buckley's abduction, torture, and murder at the hands of Hezbollah terrorists. 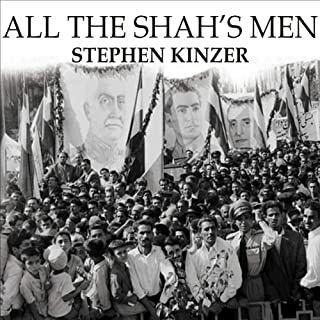 In a cloak-and-dagger story of spies, saboteurs, and secret agents, Kinzer reveals the involvement of Eisenhower, Churchill, Kermit Roosevelt, and the CIA in Operation Ajax, which restored Mohammad Reza Shah to power. Reza imposed a tyranny that ultimately sparked the Islamic Revolution of 1979 which, in turn, inspired fundamentalists throughout the Muslim world, including the Taliban and terrorists who thrived under its protection. The West and Islam - the sword and scimitar - have clashed since the 17th century, when, according to Muslim tradition, the Roman emperor rejected Prophet Muhammad's order to abandon Christianity and convert to Islam, unleashing a centuries-long jihad on Christendom. 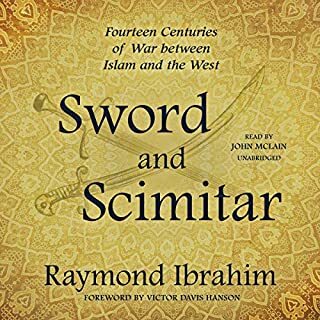 Sword and Scimitar chronicles the decisive battles that arose from this ages-old Islamic jihad, beginning with the first major Islamic attack on Christian land in 636. The Carter presidency was on life support. The Democrats, desperate to keep power and yearning to resurrect former glory, turned to Ted Kennedy. Camelot's End details the incredible drama of Kennedy's challenge - what led to it, how it unfolded, and its lasting effects - with cinematic sweep. It is a story about what happened to the Democratic Party when the country's long string of successes, luck, and global dominance following World War II ran its course, and how, on a quest to recapture the magic of JFK, Democrats plunged themselves into an intra-party civil war. The Nazi regime preached an ideology of physical, mental, and moral purity. But as Norman Ohler reveals in this gripping new history, the Third Reich was saturated with drugs. On the eve of World War II, Germany was a pharmaceutical powerhouse, and companies such as Merck and Bayer cooked up cocaine, opiates, and, most of all, methamphetamines, to be consumed by everyone from factory workers to housewives to millions of German soldiers. The best "Gotterdammerung" book I have ever read. T. R. Fehrenbach brilliantly delineates the contrasts and conflicts between the many Mexicos, unraveling the history while weaving a fascinating tapestry of beauty and brutality: the Amerindians, who wrought from the vulnerable land a great indigenous Meso-American civilization by the first millennium BC; the successive reigns of Olmec, Maya, Toltec, and Mexic masters, who ruled through an admirably efficient bureaucracy and the power of the priests, propitiating the capricious gods with human sacrifices; the Spanish conquistadors, and much more. A landmark collaboration between a thirty-year veteran of the CIA and a Pulitzer Prize-winning journalist, The Main Enemy is the inside story of the CIA-KGB spy wars, told through the actions of the men who fought them. Based on hundreds of interviews with operatives from both sides, The Main Enemy puts us inside the heads of CIA officers as they dodge surveillance and walk into violent ambushes in Moscow. This is the story of the generation of spies who came of age in the shadow of the Cuban missile crisis and rose to run the CIA and KGB in the last days of the Cold War. Andrew Lambert, author of The Challenge - winner of the prestigious Anderson Medal - turns his attention to Athens, Carthage, Venice, the Dutch Republic, and Britain, examining how their identities as "seapowers" informed their actions and enabled them to achieve success disproportionate to their size. Lambert demonstrates how creating maritime identities made these states more dynamic, open, and inclusive than their lumbering continental rivals. Only when they forgot this aspect of their identity did these nations begin to decline. As a child, he was given his own suit of armor; at the age of 16, he helped defeat the French at Crecy. At Poitiers, in 1356, his victory over King John II of France forced the French into a humiliating surrender that marked the zenith of England's dominance in the Hundred Years War. As lord of Aquitaine, he ruled a vast swathe of territory across the west and southwest of France, holding a magnificent court at Bordeaux that mesmerized the brave but unruly Gascon nobility. He was Edward of Woodstock, eldest son of Edward III, and better known to posterity as "the Black Prince". Can America and China Escape Thucydides's Trap? War with China is much more likely than anyone thinks. When Athens went to war with Sparta some 2,500 years ago, the Greek historian Thucydides identified one simple cause: A rising power threatened to displace a ruling one. As the eminent Harvard scholar Graham Allison explains, in the past 500 years, great powers have found themselves in "Thucydides's Trap" 16 times. In 12 of the 16, the results have been catastrophic. Theoretically fundamental, but not inevitable nor statistically sound. For the past three decades, the United States and Iran have been engaged in an unacknowledged secret war. This conflict has frustrated five American presidents, divided administrations, and repeatedly threatened to bring the two nations to the brink of open warfare. 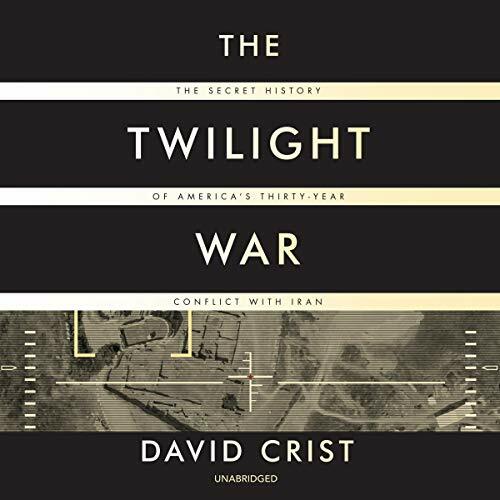 Drawing upon unparalleled access to senior officials and key documents of several US administrations, David Crist, a senior historian in the federal government, breaks new ground in virtually every section of The Twilight War. From the Iranian Revolution to secret negotiations between Iran and the United States after 9/11 to Iran's nuclear program and sanctions against it, Crist brings vital new depth to our understanding of "the Iran problem" - and what the future of this tense relationship may bring. ©2019 David Crist	(P)2019 Blackstone Audio, Inc.